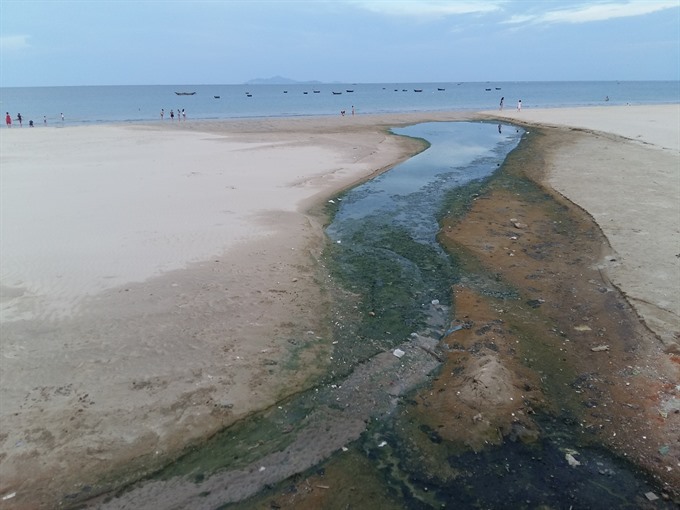 Untreated household waste water discharged into a beach in Đà Nẵng. 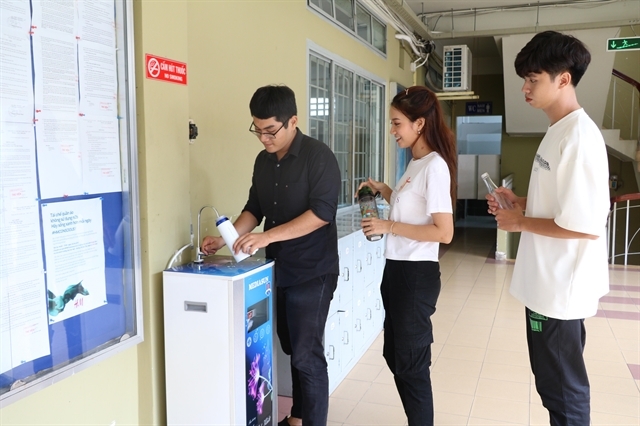 Đà Nẵng — The central city has been struggling against waste water at Industrial Zones (IZs) and urban sites, as well as to supply clean water while dealing with heavily polluted sites. An official from the city’s Institute for Economic and Social development, Quách Thị Xuân, said this at a recent workshop on water and urban sites. According to Xuân only 70 per cent of waste water from IZs is treated before being discharged into the environment, but it’s still at level 1 (liquidation of organic matter). Urban untreated sewage is still discharged directly into 28 lakes out of 30 in the city daily, while rain and untreated household waste water is collected in the same pipe and sewage system before running into the sea. Xuân said Thọ Quang fishing port in Sơn Trà district, which hosts 19,000 fishing boat arrivals and 23 seafood processing plants, as well as 11 ship-yard building factories, had been seen as the most seriously polluted site in the city for years with its poor waste treatment station. A recent report from the city’s department of natural resources and environment says 75 cubic metres of untreated garbage and 500 cubic metres of waste water from fishing boats and seafood processing factories is discharged into the fishing port every day. Meanwhile, the two waste water treatment stations in the area can only process 2,000 cubic metres each day. Poorly treated waste water with microbes and air (anaerobic treatment) at IZs is blamed as the major reason for serious mass fish deaths in lakes and rivers, and the putrid smell in residential areas of Thanh Khê district. Untreated sewage has also spoilt beaches in Sơn Trà District, with waste water from households and seafood restaurants. The city said it would face a water crisis in the coming years as water exploitation has equaled the designed capacity with 200,000 cubic metres collected from the Vu Gia River in 2015. Cầu Đỏ water station, the city’s major water supply, often faces high salinity of water due to a lack of supply from the upstream rivers during the dry season. The city said the level of salinity reached an alarming 13.568mg per litre – 63 times higher than usual – in 2015, while the operation of six major hydro-power plants upstream of Vu Gia River in Quảng Nam province could collect water from the river to generate power, thus restricting the water flow into the river basin in Đà Nẵng. Poor co-operation between Đà Nẵng and Quảng Nam in surface water management in rivers, waste water treatment and forest protection could lead to a crisis of water source use, Xuân advised. 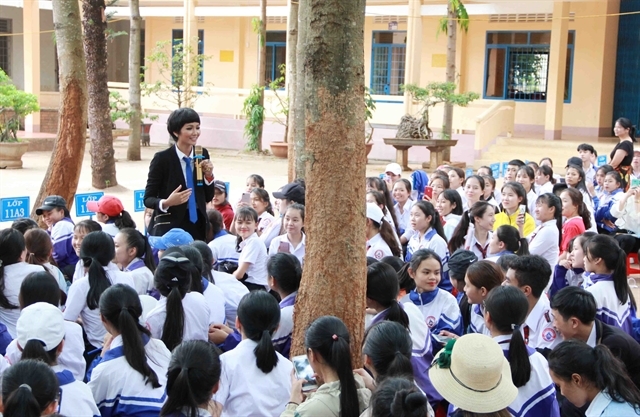 Vice chairman of the city’s administration, Nguyễn Ngọc Tuấn said the city had called for Public-Private-Parnership (PPP) investment projects in waste water treatment and clean water in building the city as a ‘green’ city. The city needs total funds of VNĐ6 trillion (US$267 million), of which $218 million would be used for urban infrastructure, to reach the ‘green’ target (an environmentally friendly city) by 2025. The city hopes to draw 41 per cent of total investment capital from the private sector in building the ‘green’ city model. 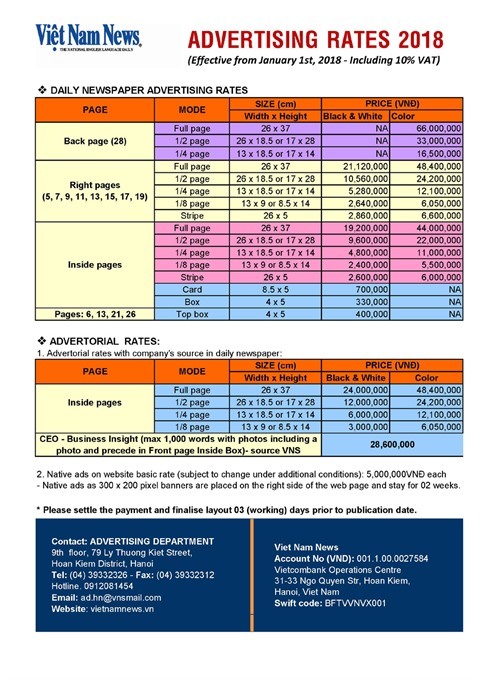 According to an expert from the construction ministry, the waste water treatment price has yet to lure investors from the private sector, as the cost is just as much as 10 per cent of the price of clean water. 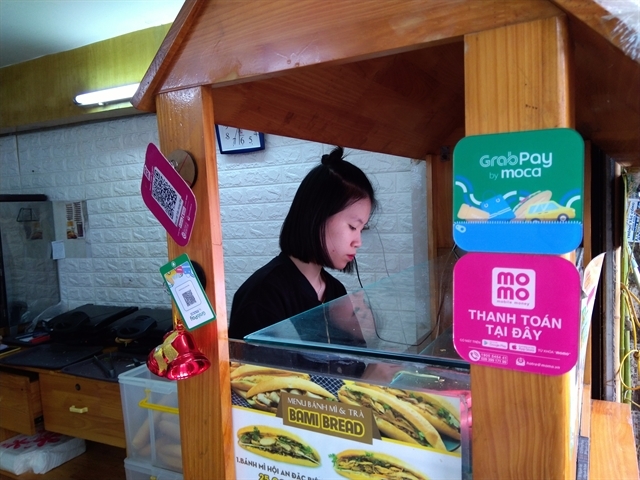 Tuấn said PPP was a very new model of investment, and local investors were still hesitant to join 19 PPP projects with total capital of VNĐ16.5 trillion (US$768 million). Japanese International Co-operation Agency (JICA) has helped Đà Nẵng complete the pre-feasibility studies (PFS) for two projects, the Hòa Liên Water supply plant and Khánh Sơn waste treatment plant since 2012, and is supporting private companies in the city to improve the skills and management of PPP projects. In 2013, the World Bank agreed to finance the City Sustainable Development Project with $272.1 million, of which $202.4 million will be funded by the World Bank. 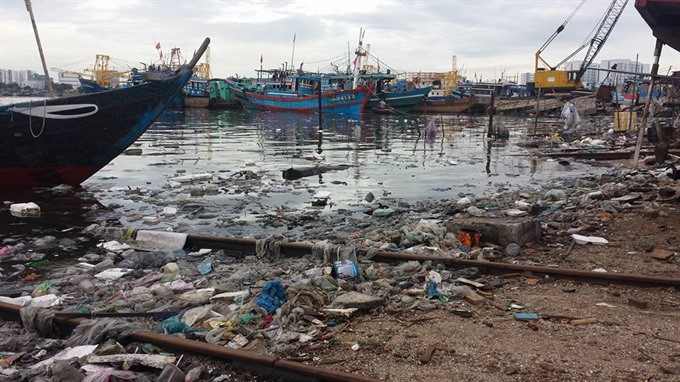 Garbage has been dumped into water around Thọ Quang fishing port.